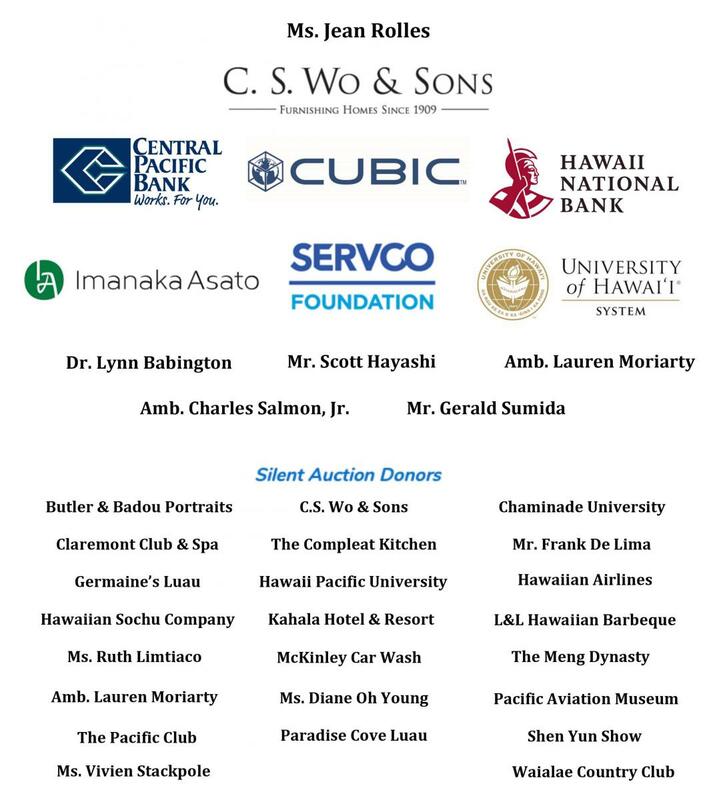 PAAC’s annual fundraiser gala, A Global Affair, will be sure to delight, featuring the Kahala Hotel & Resort’s award-winning cuisine, our exclusive silent auction items from around the world, hosted bar, free valet parking, and the great company of Hawaiʻi’s prominent supporters of global education. This year’s silent auction includes unique and exclusive packages like a ride around town with comedian Frank De Lima, shooting hoops with Chaminade University’s undefeated men’s basketball team, a brass bazaar from Nepal and Pakistan, and so much more! 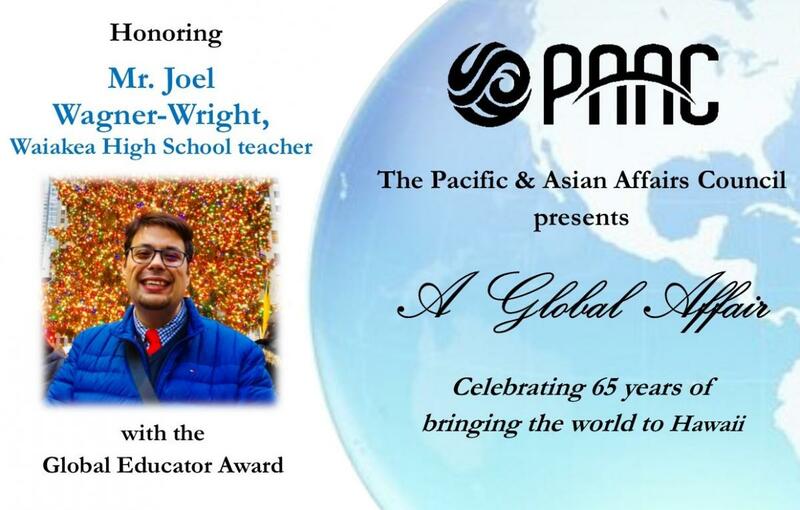 It will be a night to remember as we celebrate 65 years of bringing the world to Hawaiʻi and honor Mr. Joel Wagner-Wright, an outstanding teacher at Waiakea High School, with the Global Educator Award. Your support will strengthen PAAC’s statewide global education programs and make a difference in the lives of the youth who will shape our future. RSVP by February 8, 2019. Download Invitation and Response Form. Payment by check and credit card accepted. For more information, please call (808) 944-7780.